In conducting official business, senior White House officials sometimes used private email accounts, CBS News confirms. These communications were initiated largely by people outside the White House seeking to arrange meetings with senior White House staff. Often, individuals asking for a meeting had an existing e-mail relationship with the White House official. For example, a Republican senator might email former RNC chairman and then-White House chief of staff Reince Priebus on his personal account because that's how they communicated before Priebus joined the administration. The New York Times first reported the email accounts and pointed to Priebus and former chief strategist Steve Bannon as being among those using the private accounts. It also reported that Chief Economic Adviser Gary D. Cohn and senior adviser Stephen Miller sent or received at least a few emails on personal accounts. Officials say Ivanka Trump also used a private account while she was transitioning into her role as senior adviser. Late Monday, White House press secretary Sarah Huckabee Sanders explained how White House personnel are instructed to handle work-related communication. "All White House personnel have been instructed to use official email to conduct all government related work," Sanders said in an email to CBS News. "They are further instructed that if they receive work-related communication on personal accounts, they should be forwarded to official email accounts." 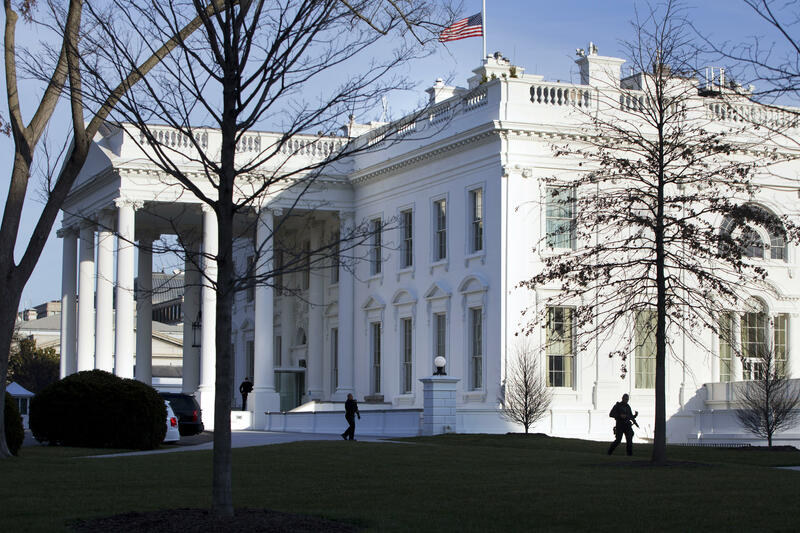 The White House insists the practice of using personal email accounts is incidental and largely unavoidable, especially when transitioning from the private sector or campaign into government. Lower profile White House employees in public-facing role --, such as communications, public engagement and political and legislative affairs -- have also engaged in the practice. Mr. Trump repeatedly attacked Hillary Clinton during the 2016 presidential campaign about the email investigation surrounding the former secretary of state during President Obama's administration. Clinton used a private email server for official government business. The FBI investigated her use of the server and found that nothing was found to warrant criminal charges against her. Monday's revelation comes on the heels of a report that Jared Kushner, senior adviser and son-in-law of President Trump, also used a private email to conduct White House business. In a statement, Kushner's lawyer Abbe Lowell said that Kushner uses his White House email address for official business, but he conceded that Kushner did use his personal account between January and August for under a hundred government business emails during that period. "Mr. Kushner uses his White House email address to conduct White House business. Fewer than a hundred emails from January through August were either sent to or returned by Mr. Kushner to colleagues in the White House from his personal email account," Lowell said. "These usually forwarded news articles or political commentary and most often occurred when someone initiated the exchange by sending an email to his personal, rather than his White House, address," Lowell added. "All non-personal emails were forwarded to his official address and all have been preserved in any event." In light of the recent developments, House Oversight Chair Rep. Trey Gowdy, R-South Carolina, has teamed up with the committee's top Democrat Elijah Cummings in sending a letter to the White House requesting details on any senior aide to the president who has used a private email address or encrypted software for government business. "With numerous public revelations of senior executive branch employees deliberately trying to circumvent [federal] laws by using personal, private, or alias e-mail addresses to conduct official government business, the Committee has aimed to use its oversight and investigative resources to prevent and deter misuse of private forms of written communication," the lawmakers wrote in their letter sent on Monday. The Committee had previously sent letters to the Trump White House back in March, requesting information if any senior White House officials had used non-official email accounts to conduct official business. In April, White House Director of Legislative Affairs March Short responded, saying that "there are no senior officials covered by the PRA (Presidential Records Act) with multiple accounts," a statement the Committee now considers to not be accurate. The lawmakers have now called on the White House to turn over any new information by October 9.